Today’s little ‘make’ was a set of tea light holders which were made from Alder that we have grown ourselves from seed. The trees are coppiced regularly to provide wood for crafts or wood chunks. 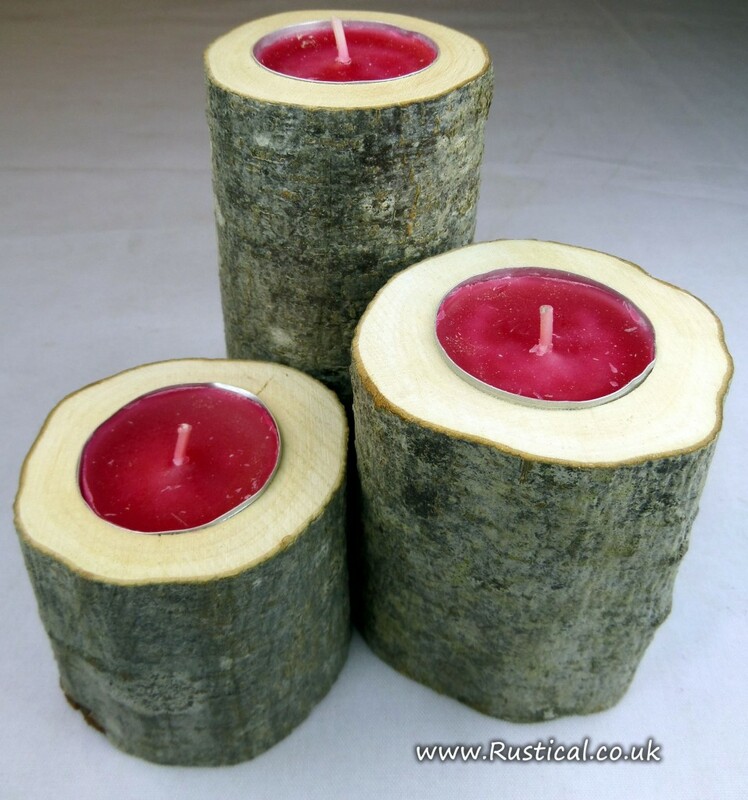 The pictured three pieces were commissioned for use as a table decoration in a festive photoshoot for a magazine, hence the (red) candles being placed straight into the wood. For use in the real world rather than a studio, we would always advocate having a heatproof separation between the candle and the wood such as a small glass holder or jam jar. For this shoot, the designer will be creating a Christmas table decoration, dressing them with holly, spruce, berries and pine cones but I think the great finish of the bark makes them a really nice touch for any rustic event.